All the evidence suggests that Facebook’s news feed is now the world’s most powerful content channel. Not convinced? 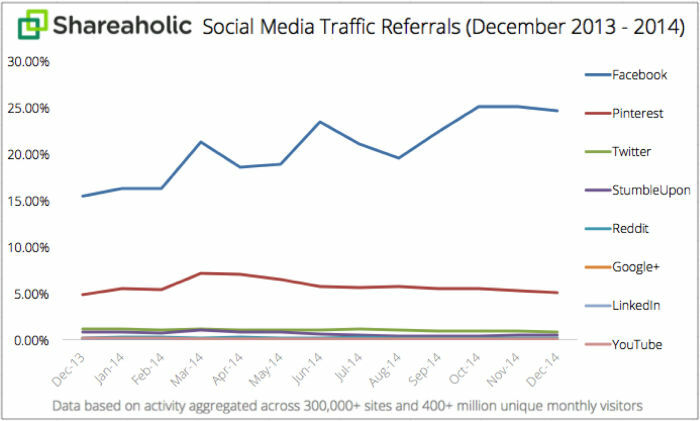 Data from Shareaholic shows that traffic to websites from Facebook dwarfs all other social networks combined. Facebook now drives 25% of all traffic to websites and is growing. According to Forrester, Facebook owns 13% of all time spent on mobile devices. The average US Facebook user (and there are 222m of them) spends 14 hours a month in their mobile Facebook feed. 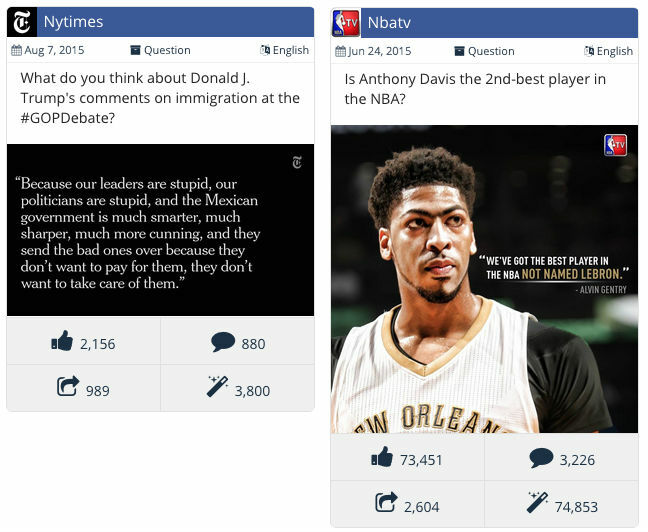 Who doesn’t want their content amplified in the Facebook feed through sharing and liking? To find out how to increase shares and likes we undertook a major study of 500m Facebook posts with Buffer to see what we could learn and what actions you can take to improve engagement and to increase visibility in Facebook feeds. This is what we discovered about maximizing your engagement on Facebook. there is less content published at this time. We found there was 61% less in fact. This means you’ll face less competition, and your posts will have a higher chance of appearing in someone’s feed. Image posts get 179% more interactions than the average Facebook post. Also take the time to upload the right size image. Some scheduling or sharing tools will pull through an image but it may not be the most engaging. Choose your image and size it correctly. An image plus 150 to 200 characters got the most engagement in our survey. Facebook has now surpassed YouTube as the most popular platform for businesses to share videos. Our results show why. Videos were the most shared post type in our survey, with 89.5 average Facebook shares. Whilst photos and questions got more total interactions (likes, shares and comments) on average, it was videos that got the most average shares. We know that Facebook puts more weight on shares than likes so Videos can definitely increase your engagement. We counted only shares, not likes + comments. Mari Smith has outlined 7 types of video you can use to increase Facebook engagement. How can you engage your audience with questions. Here are some examples. Posts that linked to long form content (2000+ words) received 40% more interactions than those linking to short form content. It appears that it is helpful to highlight articles where people can read more in-depth if they want. Our survey found that posting with a 3rd party tool results in 89.5% less engagement than directly posting to Facebook. This is not the fault of the tool, it may simply reflect the fact that when users post natively they take more time to craft a Facebook post and an image that will engage their audience. We suspect that it could be that when using a tool people cross-post content from other platforms such as Twitter and they don’t craft a post specifically for Facebook, for example, they may not optimize their images for Facebook. It may also be when using a tool they schedule content for a later day and it simply gets posted after a story has already gone viral or is no longer so relevant. Finally, it could be that people do not want to engage with a post that looks automated, which could explain why tools like IFTTT performed quite badly in terms of engagement in our survey. So craft a post specifically for Facebook rather than simply reusing something you have written for an alternative social platform. How is your Facebook engagement? 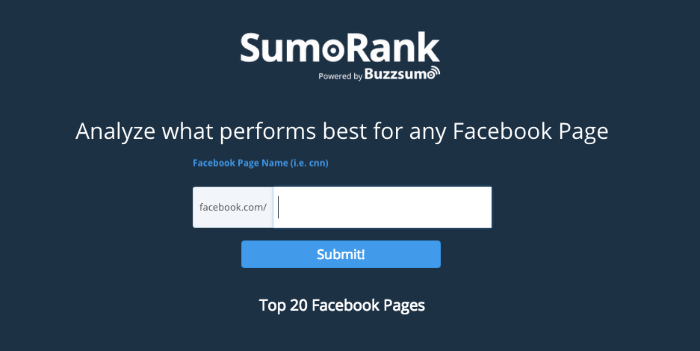 Our new free SumoRank tool allows you to see how top Facebook pages are engaging their audiences. You can also enter your Facebook page name to see how well you are doing.